(73) Photos Printable Brochure Apply For Credit Schedule A Test Drive Text Us About This Vehicle! 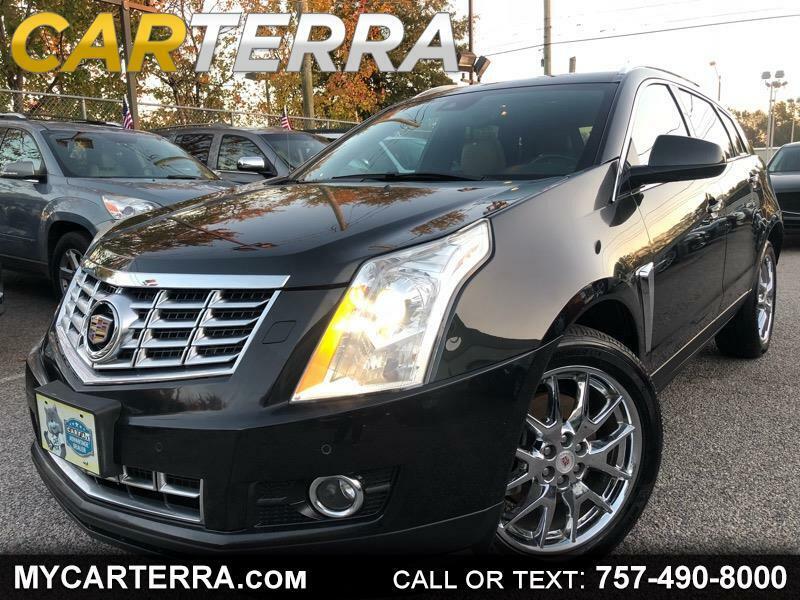 Stylish, dependable, comfortable, tech savy and fun to drive - this beautiful and spacious 2014 Cadillac SRX Premium Collection FWD is a great find!! It is loaded with plenty of features like: ABS brakes, Navigation aid,electronic parking aid, manual sunroof, deep tinted glass, alloy wheels, air conditioning, heated exterior mirrors, CD player, cruise control, power door locks, keyless entry, power windows, traction control, second row folding seat, memory seat, locking pickup truck tailgate, second row folding seat, fog lights, second row sound control, genuine wood trim, cargo area, skid plate, traction control, trip computer, tire pressure monitor, tachometer, rear window defogger etc. Gorgeous black exterior, no dents or scratches and the interior is a beautiful beige leather, well-kept and clean! Has only 83 K miles! Drives smooth! Freshly serviced and inspected!! Carfax Certified! Come test drive it today!